Hawthorne Oval - Estate Wall Sign - One Line of Personalization. 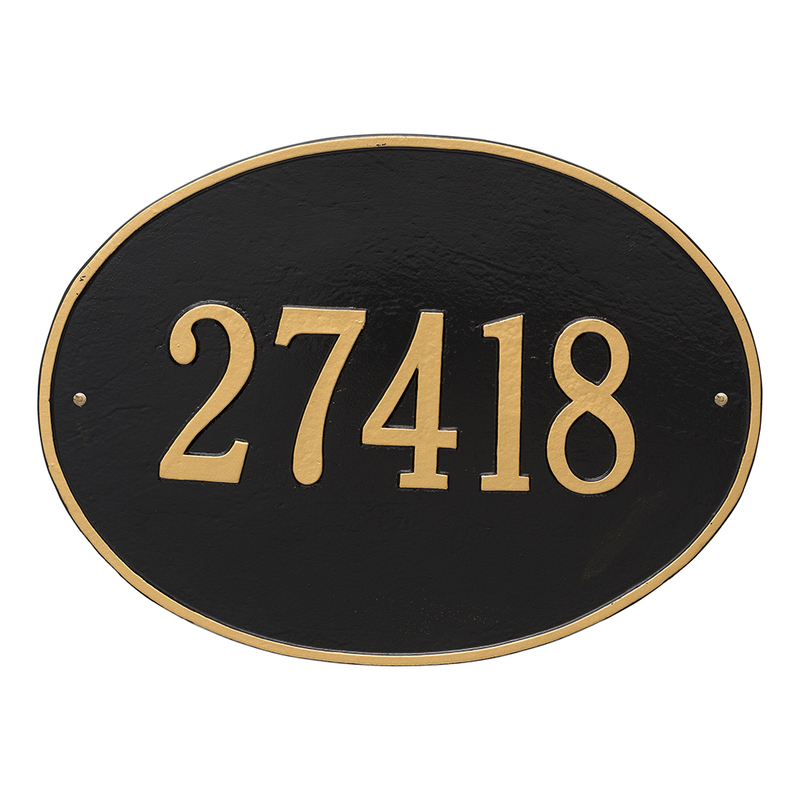 The classic oval design of our Hawthorne Address Plaques makes it ideal for most any home's exterior. Available in a variety of finish colors to accommodate your outdoor color scheme.